AirMax There are 7 products. 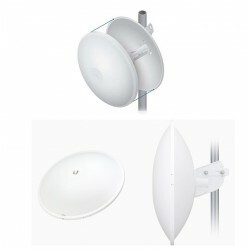 A radome for protection as an optional accessory for PowerBeam M2 and PowerBeam M5 400. 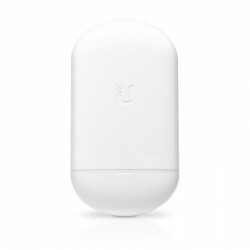 Up to 30km for WiFi 5ghz. 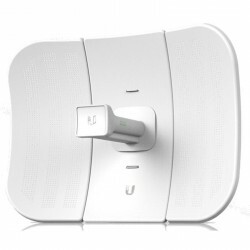 The parabolic WIFI Ubiquiti lbe-m5-23 is the latest evolution of the EPC for WIFI broadband outdoor wireless. 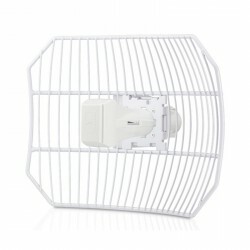 The lbe-m5-23 was designed to be cheap and with performance to bridges wireless broadband long distance, with the frequency of 5ghz spectrum to operate all over the world. 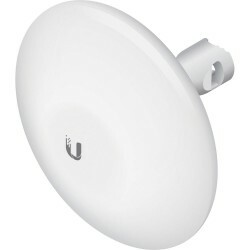 Ubiquiti Airmax Nanostation LOCO 5ACL + Antenna 13dBi for powering by PoE. 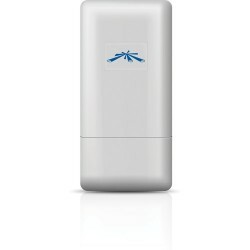 The new nanostation loco 5ghz outdoor panel antenna larrgo scope of 13dbi. 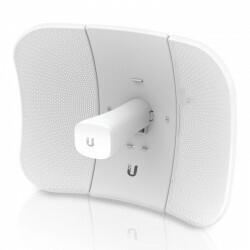 airOS®8 offers powerful features, including compatibility with the protocol of airMAX ac, analysis of real-time RF and a completely new design for improved usability.High-gain, directional antennaThe LiteBeam AC provides 23 dBi gain for connectivity to long distance and uses a pattern of directional antenna to improve the noise immunity.